Behind every famous criminal, there is an entrepreneur. The stakes are high and the pressure is tremendous. The lure of riches is beyond a person’s wildest beliefs. The promise of profit is so great that people will forego morals and put their own lives in danger in pursuit of their prize. Behind every notorious entrepreneur, there is a lesson to learn – a lesson that we may apply to our fitness businesses. 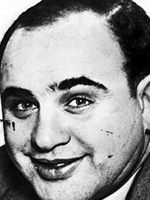 Al Capone (AKA “Scarface”) is considered the granddaddy of all modern gangsters. 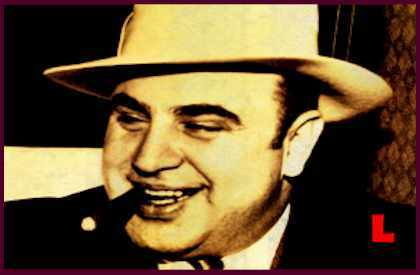 He opened soup kitchens and gave baseball tickets to underprivileged youth, but he also ran Chicago’s most notorious organized crime ring, executed people that got in his way, smuggled liquor during Prohibition, and evaded his taxes. 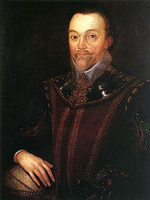 Sir Francis Drake ruled the seas in the 1500s and stole the cargo of countless Spanish ships. The Spanish government offered the equivalent of $4 million to capture the pirate. However, since he regularly shared his bounty with Britain, they exalted him as a knight and mayor of Plymouth. By the same token, you should create a referral programs that reward people for positive lip service. If you offer your clients money or a cash reward for their allegiance, your popularity will grow in leaps and bounds! So what if your competitors don’t like you very much? You can grow your business from within. “Olive Oil King” Joseph Profaci was a Sicilian emigrant who ruled the Colombo crime family for over three decades with his iron fist. He got involved in the legitimate olive oil trade, but controlled underworld activities like numbers, loan-sharking, narcotics trafficking and prostitution in Brooklyn. Joe charged each of his men $25 to be part of the family. Most of them resented this, but they knew if they didn’t pay up, they’d get whacked. I’m not suggesting you “whack” your employees – or run your fitness business like a mafia crime syndicate, for that matter! However, I do want you to realize that there is no harm in asking that people “pay to play.” The vast majority of broke personal trainers are only making chump change because they were too afraid to ask for a higher price. Deep down, they hadn’t convinced themselves of their own worth yet. Be confident – and ask for what you’re worth. Charles Ponzi knew what his customers wanted. He sold investment opportunities to thousands of people and used all new money coming in to pay off the old clients. It worked for a while, raking in $250,000 a day. His whole scheme was based on a loophole in the buying and selling of stamps that yielded 400 percent profits, but his ambition exceeded the scale of the industry. Eventually, the scam imploded and investors were left without a cent. 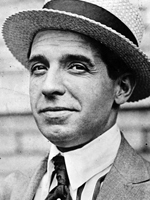 For quite some time, Charles Ponzi lured investors with a compelling offer they couldn’t refuse. You need to create the same type of offer – albeit a legitimate one. Like Ponzi, you want to focus on selling the lifestyle and the benefits that your clients will see if they work with you. Just make sure you can deliver on your promises! 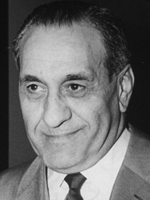 “Big Tuna” Tony Accardo was the head of “The Outfit” in Chicago from 1945 – 1992, making him one of the longest-running mafia bosses. He operated in plain sight, but kept a low profile. Even though he gave orders to eliminate his rivals, the way he diversified his business interests put him outside of the fed’s radar. He was always moving to new territories while following pursuits in gambling, extortion, bookmaking, loansharking and alcohol / tobacco distribution. By the same token, you want to diversify your fitness business as your organization matures. Dabble in selling supplements, do one-on-one training, do different group boot camps, sell information products like seminars and e-books. The more poles you have in the water, the more fish you’ll catch – guaranteed! George Parker began charging people to cross the Brooklyn Bridge, even though he owned no legal right to do so. He made a fortune selling New York’s most prized landmarks to unsuspecting tourists. He was a smooth-talking salesman with elaborate stories and fake documents. Eventually, he spent 8 years in prison, but he taught a valuable lesson to all of us. Through George Parker, we learn that the world is full of niche markets. We need only come up with the right angle, the right demographic, and the right way to market ourselves. Maybe you’ll create one campaign for new moms who want to lose their baby weight and another campaign for seniors who want a fitness-based social club where they can meet new people. Figure out who would be most interested in your offer. 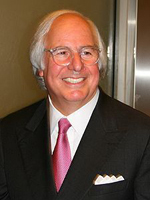 Frank Abagnale was a con man who lived off fake checks and traveled the world for free. You may have seen him portrayed in the Leonardo DiCaprio film “Catch Me If You Can.” He made his fortune by positioning himself as an expert – a pilot or a doctor – a person that deserved trust and respect. After serving 5 years in prison, he went to work rooting out financial fraud for other businesses. Fitness business owners have many easier ways of presenting themselves as experts. We can publish articles and press releases online. We can write guest blogs and make YouTube videos. We can sponsor local events and attend public speaking engagements. We can network with others in our field. The possibilities go on and on. If you carry yourself with confidence, you will go far. 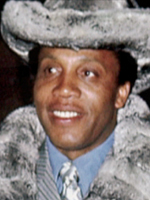 Frank Lucas kept his costs low and undercut the competition in the shady world of drug trafficking throughout the 1970s. During the Vietnam War, Lucas discovered that heroin could be purchased cheaply in the US. He found an opportunity to buy drugs from South East Asia for less. He used coffins of dead servicemen to smuggle in supplies, without using middle men. Even though he eventually went to jail for his crimes, he made millions of dollars by keeping his expenses as low as possible. 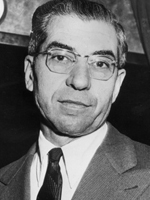 Charles “Lucky” Luciano is credited with making the Mafia the vast multinational enterprise we know today. 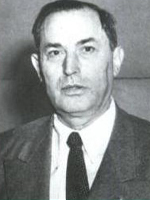 He assembled petty criminals, lowlifes and degenerates to form the most powerful organization of the 20th Century. Lucky formed his first gang as a teenager by offering protection to Jewish youth from Italian and Irish gangs. This is how he met some of his future partners. Later, he would network and make more friends running an illegal bootlegging operation. His credo was that he would work with anyone, regardless of their ethnic background. That helped his rise in popularity significantly. You should be selective in who you hire, but still keep an open mind. Some of my best trainers are not the supermodels or the weightlifting champions, but former boot campers with a passion for helping others. Remember hire slow and fire fast. Build a solid team based on friendliness, positive attitude, dedication to fitness, and expertise – and you can’t go wrong. 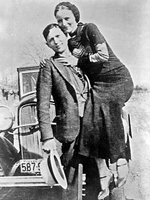 Everyone knows the infamous “Bonnie and Clyde” crime duo. These farmers turned into wild bank robbers on a murderous crime spree. Even though they were on a rampage, the couple was smitten with each other throughout it all, which is probably what made them a romanticized icon in the eyes of many Americans. They were eventually gunned down by officers in Louisiana, but after they had spent quite some time making a ruckus together. What we can learn from Clyde is that, behind every great man is a great woman. Most fitness business owners have created a 14 hour a day job for themselves. Their business is running them! Remember family why you doing this in the first place. FAMILY. So make sure you schedule time for your significant other, cut loose and have some fun. Premium download for Members only!! !